The Enemy have never sounded more fully themselves than they do here. Quite simply, they have run out of ideas. 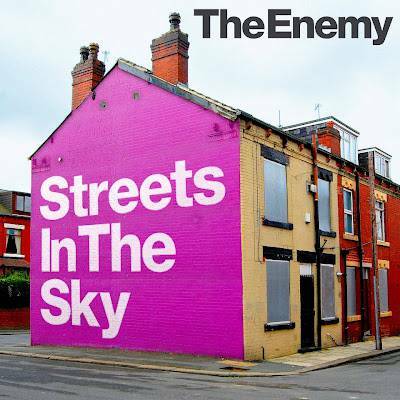 Streets In The Sky is an album without vision, or if there is one, it has been shot through and tattered by a hasty drive to try and remain relevant. Streets in the Sky manages to be both energetically boring and affable to the point of being completely inoffensive. This is a low point in British guitar music. Imagine if you took all the worst things about power pop and arena rock and distilled it into a singular album. This would be it. Streets in the Sky is an album whose success is derived from leaching off the sounds of those around them who are doing a much better job. Purchasing Streets in the Sky from Amazon helps support Album of the Year. Or consider a donation?